Males are at an increased risk for colorectal compared to females (about two times as likely). Women who are on hormone-replacement therapy and have increased estrogen exposure due to menopause are at an increased risk. Frequent, effective colon cancer screening can prevent colon cancer. This leads to early detection and removal of the cancer before it progresses. How serious is colon cancer? If the cancer is localized to the bowel, the 5-year survival rate is 85-95%. Once the cancer spreads, the survival rate is less than 40%. This reinforces why screening is so important, even if no symptoms are detectable. The difference is in the area of the colon tract that the two tests can scope. 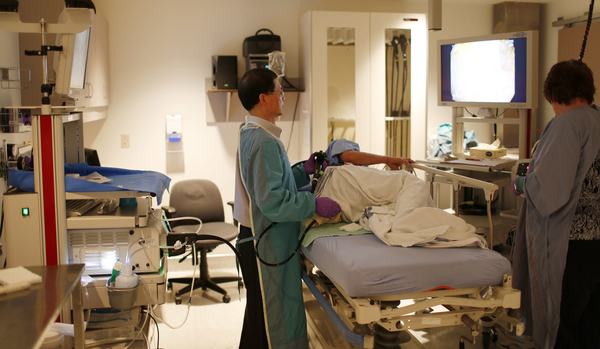 Sigmoidoscopy allows doctors to view only the lower part of the colon, while colonoscopy allows doctors to view both the upper and lower sections. Click here for FAQ on colonscopies.